"Sometimes you gotta be bad to be good"
Bad Cop (Saints and Sinners) is an American thriller film with elements of crime and drama as well. In the film New Orleans Detective Sean Riley is facing all of his problems at once. He lost his young son, his marriage is falling apart, and his job is on the line. Riley becomes partnered with a young detective when a race war breaks out in their city after a string of murders. The two work together to get to the root of the bigger problem in this gritty city. 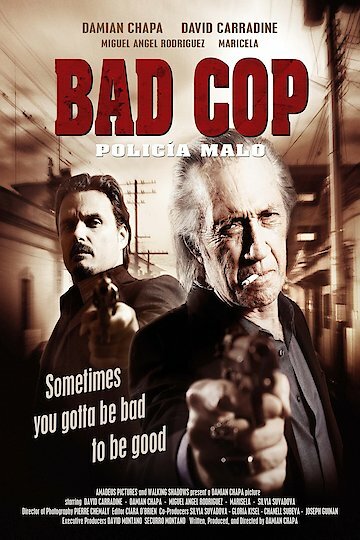 Bad Cop is currently available to watch free on Tubi TV and stream, download, buy on demand at Amazon, Google Play, iTunes, YouTube VOD online.